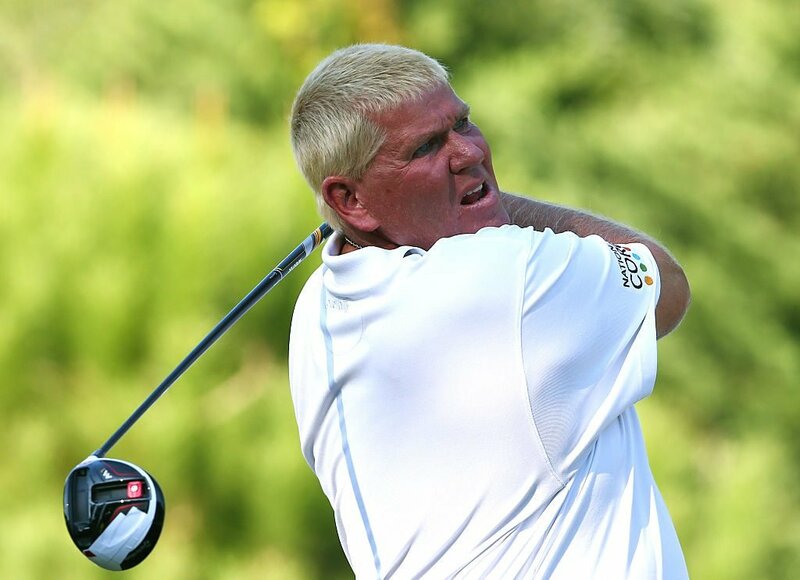 The Amount Of Money John Daly Gambled Away During His Lifetime Will Leave You Absolutely Speechless. How can someone lose that much money? Daly sites three distinct factors that cost him $55 million. First of all, when he gambled at a casino, he regularly played multiple hands of blackjack simultaneously. He would bet between $10-$15 thousand per hand. Depending on what website you want to believe, the house has an advantage of around .25%. So if Daly bet $10,000 per hand, he would lose $25 per hand. This assumes Daly plays perfectly. It also assumes the game goes exactly as planned in terms of odds; this rarely if ever happens. Secondly, Daly also talked about his love of slot machines. There's no exact number on the house advantage. It could be 2%. It could be 20%. Regardless of the number, it makes sense that Daly would lose more money on slots because the house has a much higher advantage than the table games. Again, this assumes the game goes exactly as planned which rarely if ever happens. And finally, Daly has been open about issues with alcohol. It's difficult, and some would argue impossible, to play perfectly under the influence of alcohol. Any of the above factors listed could easily be magnified if Daly wasn't making good gaming decisions. And it's not just alcohol that could have been impairing his judgement. Last month, Daly told the Howard Stern that at his peak he would drink 26-28 cans of Diet Coke PER DAY and would smoke 40 cigarettes. Combining the rules, stakes, house edge and lifestyle, it's actually not a stunning surprise that Daly managed to lose tens of millions of dollars. The PGA Tour website says Daly earned a little more than $10 million over his 25 year professional career. This number doesn't include Daly's extensive endorsement deals of past and present or any of the media work he has done. Surely those latter two sources have paid Daly millions and millions more. But still, there's quite a large leap to $90 million in gambling losses. Remember, Daly's biggest wins came before Tiger Woods blew up the salary structure for pro golfers. Daly only won $230,000 for his PGA Championship. Today, tour winners routinely get $1 million per win. One of Daly's biggest course paychecks was the $750,000 he earned from the WGC-American Express Championship in 2005. In his 2006 autobiography, Daly admitted that immediately after cashing the check, he drove straight to the Wynn Casino in Las Vegas and blew $1.5 million on slot machines. Daly has been married and divorced four times. These relationships have left him saddled with $40,000 in monthly support obligations. Casinos are known to offer lines of credit, but the disparity here is in the millions. Either Daly's endorsement deals were much higher than anyone could have predicted, or people took a leap to help fund his habit. Tim Daly net worth: Tim Daly is an American stage, screen and voice actor, director, and producer who has a net worth of $10 million. Kiradech Aphibarnrat, the man who's often referred to in the press as "Asia's John Daly" has a passion not just for the links, but for conspicuous consumption.